It’s time to review the routine invitation for screening to all women aged 50 to 69 years. JAMA Intern Med. 2014 Mar;174(3):448-54. doi: 10.1001/jamainternmed.2013.13635. Like all early detection strategies, screening mammography involves trade-offs. If women are to truly participate in the decision of whether or not to be screened, they need some quantification of its benefits and harms. Providing such information is a challenging task, however, given the uncertainty–and underlying professional disagreement–about the data. In this article, we attempt to bound this uncertainty by providing a range of estimates-optimistic and pessimistic–on the absolute frequency of 3 outcomes important to the mammography decision: breast cancer deaths avoided, false alarms, and overdiagnosis. Among 1000 US women aged 50 years who are screened annually for a decade, 0.3 to 3.2 will avoid a breast cancer death, 490 to 670 will have at least 1 false alarm, and 3 to 14 will be overdiagnosed and treated needlessly. We hope that these ranges help women to make a decision: either to feel comfortable about their decision to pursue screening or to feel equally comfortable about their decision not to pursue screening. For the remainder, we hope it helps start a conversation about where additional precision is most needed. “It may be reasonable to attend for breast cancer screening with mammography, but it may also be reasonable not to attend, as screening has both benefits and harms. The proportion of women in the invited age group who currently attend for screening in Australia is between 50% and 60% so not all women currently respond to the invitation by attending. Stopping the routine invitation for screening would not prevent women being screened. 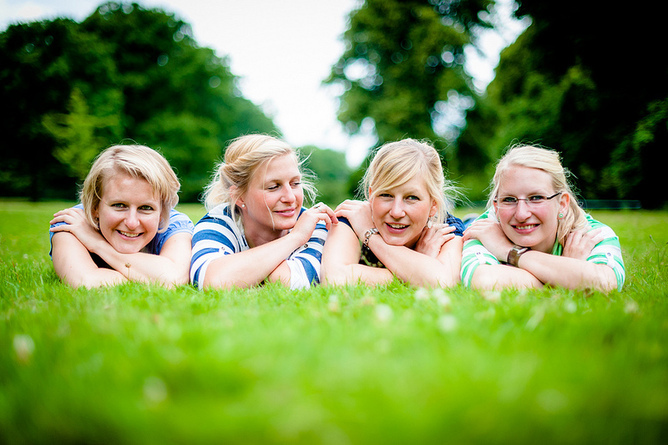 Women with a high risk of cancer – those with a family or personal history of breast cancer – should still be screened. There may be others who should consider screening because they have a combination of less powerful risk factors which might put them at above average risk. Other women, not at above-average risk, could request screening if this is what they want. If women elect not to be screened and only enter the medical system when a clinical problem presents itself, they can be reassured that they will have the benefit of the recent improvements in breast cancer treatment. Government should undertake a review of the invitation for screening. But this will take time. For the time being, it is imperative that all women be provided with comprehensive information about the disadvantages as well as the advantages of mammographic screening. The pamphlet produced by the Nordic Cochrane Center, which presents the information in terms of the impact of screening on absolute risks and benefits, would make an excellent model. But a pamphlet alone is insufficient. Given the risks, each woman must be given the opportunity to discuss her options and decide what is best for her, with those who are in a position to provide accurate and helpful advice. Recent studies have shown that mammography may do more harm than good. As the issue is still controversial, I recommend women read the evidence carefully as to why some experts have reached this conclusion. The analysis to date of all randomized controlled trials for mammography have concluded there is a marginal benefit. About 80% of breast cancers not discovered by mammography are discovered by women themselves, but this is most often a part of daily living- for example, showering or getting dressed- and not part of a systematic, regular BSE. Using Mammography to screen women with no symptoms is different from having a diagnostic mammogram to evaluate a symptom, such as a lump in the breast or a discharge. The debate is not about whether to perform mammograms on women with symptoms; the mammography controversy is about its efficacy as a screening tool. An estimated 30% of all breast cancer cases are considered to be over-diagnosed and over-treated. Over-diagnosis, a downside of screening, is diagnosis of cancer that would not have presented within the lifetime of the patient. For every 2000 women invited for screening over a 10 year period, one will have her life prolonged, and 10 healthy women,who would not have been diagnosed if they had not been screened, will be treated unnecessarily. Bleyer A. and Welch H.G. – To reduce mortality, screening must detect life–threatening disease at an earlier, more curable stage. Effective cancer–screening programs therefore both increase the incidence of cancer detected at an early stage and decrease the incidence of cancer presenting at a late stage. This study examines the Effect of Three Decades of Screening Mammography on Breast–Cancer Incidence. It was concluded that despite substantial increases in the number of cases of early–stage breast cancer detected, screening mammography has only marginally reduced the rate at which women present with advanced cancer. Although it is not certain which women have been affected, the imbalance suggests that there is substantial overdiagnosis, accounting for nearly a third of all newly diagnosed breast cancers, and that screening is having, at best, only a small effect on the rate of death from breast cancer. In fact, the absolute risk of a woman dying of breast cancer is less than 1% without any screening. Looking at this in another way, 995.6 out of 1,000 50-year-old women will not die of breast cancer within the next 10 years. This number rises to 996 out of 1,000 with regular mammographic screening. Arch Intern Med. 2011 Dec 12;171(22):2043-6. doi: 10.1001/archinternmed.2011.476. Epub 2011 Oct 24. Likelihood that a woman with screen-detected breast cancer has had her “life saved” by that screening. Perhaps the most persuasive messages promoting screening mammography come from women who argue that the test “saved my life.” Because other possibilities exist, we sought to determine how often lives were actually saved by mammography screening. We created a simple method to estimate the probability that a woman with screen-detected breast cancer has had her life saved because of screening. We used DevCan, the National Cancer Institute’s software for analyzing Surveillance Epidemiology and End Results (SEER) data, to estimate the 10-year risk of diagnosis and the 20-year risk of death–a time horizon long enough to capture the downstream benefits of screening. Using a range of estimates on the ability of screening mammography to reduce breast cancer mortality (relative risk reduction [RRR], 5%-25%), we estimated the risk of dying from breast cancer in the presence and absence of mammography in women of various ages (ages 40, 50, 60, and 70 years). We found that for a 50-year-old woman, the estimated risk of having a screen-detected breast cancer in the next 10 years is 1910 per 100,000. Her observed 20-year risk of breast cancer death is 990 per 100,000. Assuming that mammography has already reduced this risk by 20%, the risk of death in the absence of screening would be 1240 per 100,000, which suggests that the mortality benefit accrued to 250 per 100,000. Thus, the probability that a woman with screen-detected breast cancer avoids a breast cancer death because of mammography is 13% (250/1910). This number falls to 3% if screening mammography reduces breast cancer mortality by 5%. Similar analyses of women of different ages all yield probability estimates below 25%. Most women with screen-detected breast cancer have not had their life saved by screening. They are instead either diagnosed early (with no effect on their mortality) or overdiagnosed. Is routine breast cancer screening doing more harm than good? Robin Bell receives funding from the Victorian Cancer Agency, the BUPA Health Foundation and the National Health and Medical Research Council of Australia. Michael Baum’s department is funded by HTA, with an additional educational grant from Carl Zeiss. Bebe Loff and Robert Burton do not work for, consult to, own shares in or receive funding from any company or organisation that would benefit from this article. They also have no relevant affiliations. The Conversation provides independent analysis and commentary from academics and researchers.We are funded by CSIRO, Melbourne, Monash, RMIT, UTS, UWA, Canberra, CDU, Deakin, Flinders, Griffith, La Trobe, Murdoch, QUT, Swinburne, UniSA, UTAS, UWS and VU. Public discussion about the risks of over-diagnosis of breast cancer have left some women wondering whether they should take part in the government’s breast screening program. Let’s take a look at what the evidence says and how women might be enabled to make their own decisions about whether to participate. Last year Sir Michael Marmot, Professor of Epidemiology and Public Health at University College London, was asked to chair an independent panel to review the benefits and harms of screening mammography in the United Kingdom. The panel focused on the findings from randomised trials, even though most of these trials were carried out a long time ago, in the 1970s and 1980s. A report on the findings of the review and an accompanying editorial were published in the Lancet late last month. In summary, the report said that screening resulted in an estimated ratio of cases over-diagnosed, to deaths from breast cancer prevented, of 3:1. An over-diagnosed case is one where screening has identified a breast cancer that will never cause harm. As it is not currently possible to distinguish breast cancer identified through screening which will never cause harm from cancer that will, all breast cancer identified by screening is treated – with surgery and various combinations of radiotherapy, chemotherapy, endocrine and biologic therapies. A woman treated needlessly will have no way of knowing that her cancer was harmless and that her well-being has been sacrificed, without her knowledge or consent, for the sake of others who may have benefited from screening. The benefits of screening appear to have been over-estimated. Advances in treatment have changed the outlook for women with breast cancer so profoundly over the past two decades that the potential for screening to further reduce deaths from breast cancer has been considerably reduced since the original randomised trials were performed. Furthermore, limiting the estimated benefit to reduced deaths from breast cancer is misleading because radiotherapy after surgery for breast cancer materially increases the risk of dying from heart disease. The magnitude of overdiagnosis has also been underestimated. An estimate of overdiagnosis from Australia – adjusted for confounders and lead time and assuming 60% of invited women attend – found an over-diagnosis rate of 30% to 40% depending on the expected incidence without screening, rather than the 19% in the Lancet report. The Nordic Cochrane Center review of screening mammography has estimated the ratio of cases over-diagnosed to deaths from breast cancer prevented at 10:1. Our estimate of the ratio in Australia, using a lower estimate of deaths prevented due to the impact of improved treatment and the higher rate of over-diagnosis, is closer to 15:1. The clear message is that over-diagnosis exists, it happens regularly as part of the screening process and women need to understand this. 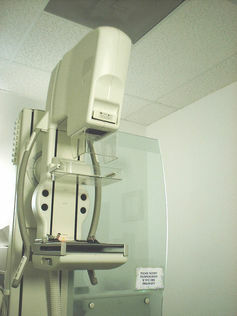 When an asymptomatic woman requests screening mammography through her doctor or when a doctor recommends that an asymptomatic woman be screened, the doctor has a responsibility to inform her about the potential harms and benefits so she can decide whether she will have the mammogram in the context of her situation and preferences. But when a woman receives an invitation for screening from a government body that makes little or no reference to screening-related harm, she may reasonably expect that that there is no real likelihood of harm. It could be argued that the weight of responsibility for full and frank disclosure of risks and benefits is even greater when the invitation comes from a trusted government agency that has been historically responsible for promoting screening.